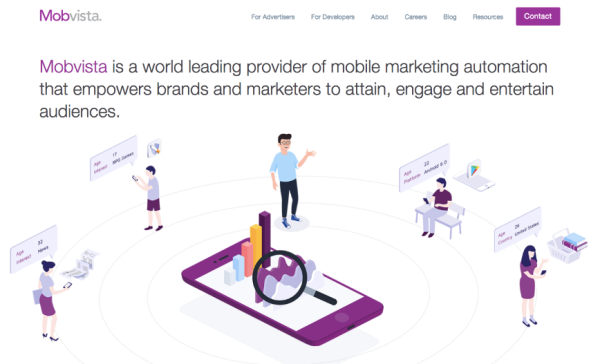 The Mobvista mission in India is to empower advertisers to attain high-quality users and improve ad performance while at the same time empowering developers to monetize and achieve increased revenue. Mobvista recognizes India as a high-priority market for mobile advertising and thus, reinforces its commitment to the region by expanding operations. Since Mobvista started in 2013, India has consistently remained one of the company’s priority markets, underscoring India’s growth in the mobile advertising space. To foster continued growth and harness the vast potential in the region, Mobvista had appointed Neeraj Sharma, Head-Business of South Asia & Middle East to grow and deepen commitments to Mobvista Indian partners. Marking a remarkable inroad in the country, Mobvista has grown its Indian business at a very fast pace. The company has built an impressive list of around forty successful domestic clients from different industry verticals such as FMCG, E-commerce, etc. Mobvista has also built an outstanding customer base in its home country China. The Chinese advertisers include both premier Chinese internet companies like Baidu, Alibaba and Tencent, as well as unicorns like Ofo, Topbuzz & Mobike.